Here is a little gotcha that PowerShell and SharePoint hit me with. PowerShell will not return an error when you assign a user account to a SharePoint web application if the user does not exist or has been entered incorrectly. 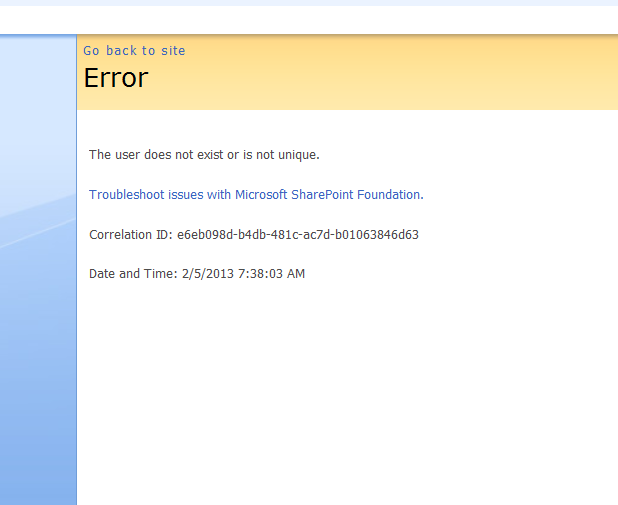 However, after an IIS reset, your SharePoint site fails and returns an error. Error: The user does not exist or is not unique. As I mentioned in an earlier post, I’ve been working a lot with PowwerShell recently. Since I am just learning my way around, I have been doing a lot of really cool but really derivative scripts, or the scripts have been too requirements-specific to be of much general use and, in my opinion, to be worth posting. 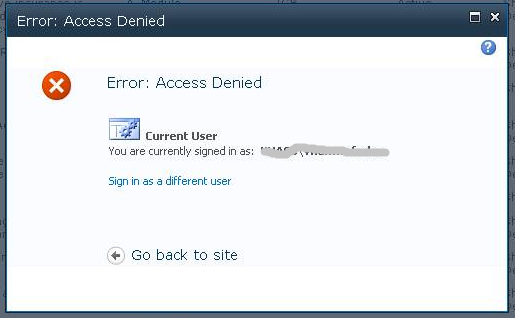 Quick Fix: User With Contribute Permissions Can’t Upload .swf to SharePoint 2010? There is a list of file types, including shockwave files, that users with Contribute permissions cannot submit to SharePoint libraries. In order to be able to submit these files to libraries, the user has to have higher-level permissions (like Design). But these files are not in the blocked file types list found in Central Administration (http://YourCentralAdminURL/_admin/BlockedFileType.aspx). What gives?